Ghana’s political class and some select public servants are set for a 10% pay rise as recommended by the Presidential Committee on Emoluments. The Committee’s report proposed an annual increase of 10% from 2013 to 2017 for the political class listed under Article 71 of the 1992 constitution. The report, intercepted by Joy News, has been accepted by Parliament. 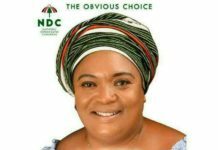 The report, signed by Prof. Dora Francisca Edua-Buandoh, explained that the recommendations were based on the committee’s guiding principles of fairness, equity, motivation and ability of government to pay. 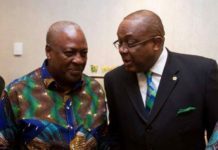 Details of the report show that President, who takes home a non-taxable salary of GH¢15,972 has now been pegged at a new 2016 salary of GH¢22,809. This translates into a 42.8% pay rise over the four years. The Chief Justice, head of the Judiciary, is paid GH¢15,552 but can now expect a new figure of GH¢17,107. The Speaker of Parliament, the head of the Legislative arm of government who is paid GH¢16,174 will be put on 17,791 cedis. The payments have been backdated. Article 71 Office Holders last received a pay rise in 2013 which was backdated from 2009 to 2012. Apart from a 10% across board increase for this category, some specific public servants under this category are set for an additional increase in salary. The Presidential Committee on Emoluments explained that between 2009 to 2013, some public servants and political leaders received a 20% increase each year while the President and Vice-President got a 10% rise. The committee found out that this created some distortions among the top brass in the three arms of government. For example, it made the Speaker of Parliament Rt. Hon Edward Doe Adjaho better paid than the President. President Mahama is paid a non-taxable salary of GH¢15,972 while the Speaker collects GH¢16,174 making him the highest paid Article 71 Office Holder. Some category of ministers are also paid better than the Vice-President who takes home GH¢14,375. 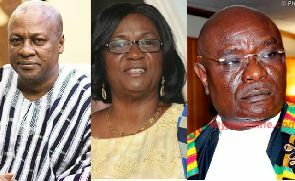 In the Executive Arm, ministers who are also MPs take GH¢14,515 while in the Legislature, Deputy Speakers, the Majority Leader and Minority leaders are paid higher than the Vice- President. To correct the imbalance, the committee recommended that the President and his vice receive a separate increase in salary from 2009 to 2013. The two thus receive two separate backdated arrears on salaries over a seven-year period. #Ghana's political class and some select public servants are set for a 10% pay rise as recommended by the Presidential Committee on Emoluments. 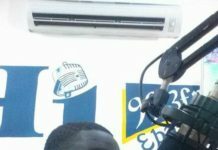 Next articleCatholic Archbishop of Accra, Most Reverend Gabriel Charles Palmer-Buckle never ceases to amaze people with his dynamic attitude.